Sea level rise threatens to increase the impacts of future storms and hurricanes on coastal communities. However, many coastal hazard mitigation plans do not consider sea level rise when assessing storm surge risk. Here we apply a GIS-based approach to quantify potential changes in storm surge risk due to sea level rise on Long Island, New York. 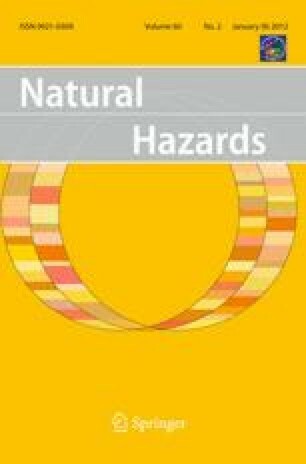 We demonstrate a method for combining hazard exposure and community vulnerability to spatially characterize risk for both present and future sea level conditions using commonly available national data sets. Our results show that sea level rise will likely increase risk in many coastal areas and will potentially create risk where it was not before. We find that even modest and probable sea level rise (.5 m by 2080) vastly increases the numbers of people (47% increase) and property loss (73% increase) impacted by storm surge. In addition, the resulting maps of hazard exposure and community vulnerability provide a clear and useful example of the visual representation of the spatial distribution of the components of risk that can be helpful for developing targeted hazard mitigation and climate change adaptation strategies. Our results suggest that coastal agencies tasked with managing storm surge risk must consider the effects of sea level rise if they are to ensure safe and sustainable coastal communities in the future. A comment to this article is available at http://dx.doi.org/10.1007/s11069-012-0314-2. A comment to this article is available at http://dx.doi.org/10.1007/s11069-012-0159-8. We thank Columbia University Center for Climate Systems Research (CCSR) for the provision of data sets. This work was supported by the David and Lucile Packard Foundation and The Nature Conservancy.